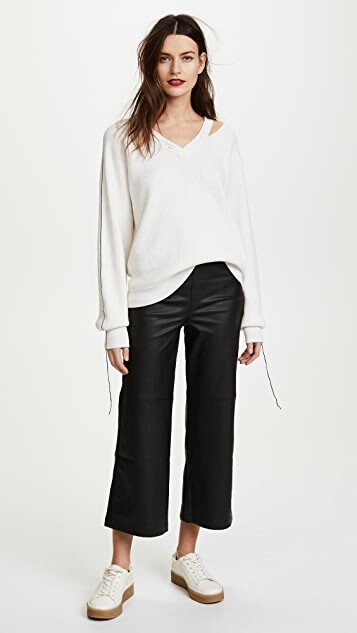 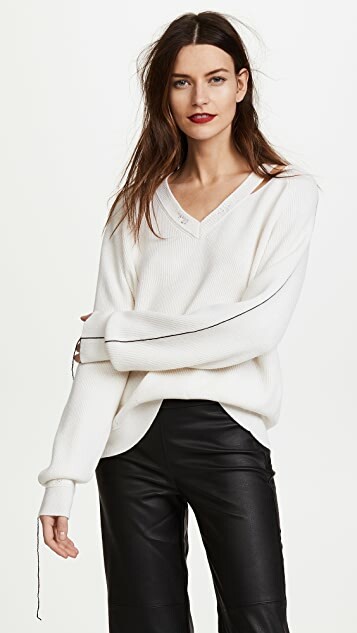 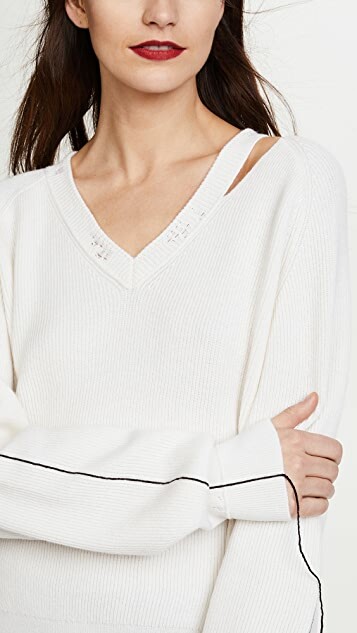 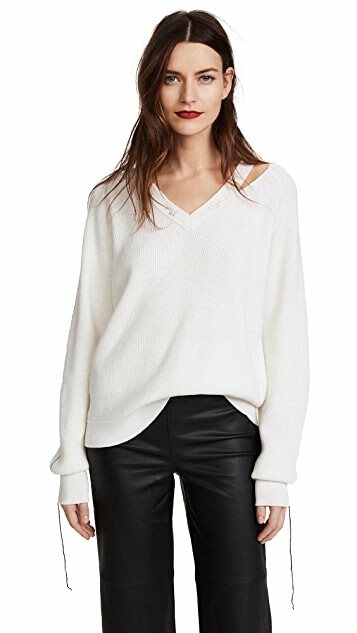 What could make this soft Helmut Lang sweater even cozier? 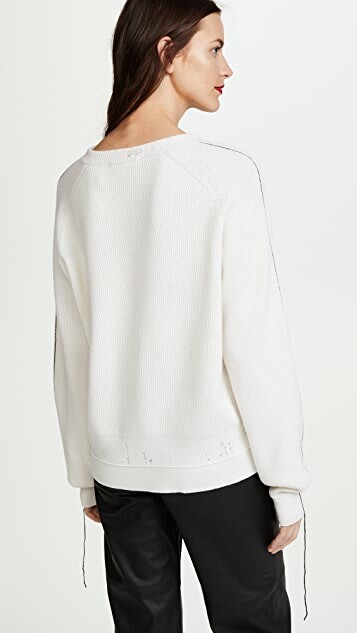 A little distressing for a perfectly broken-in feel, of course. 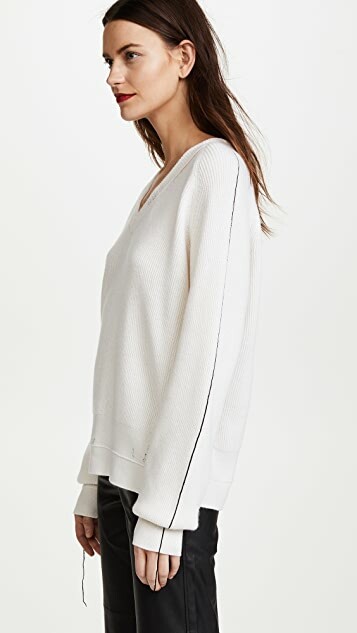 Add unexpected trim and you've got a piece that's sure to keep you warm in style.